Looks like today is all about Twitter video. First Meerkat got an unexpected user boost and now Twitter is offering a new embed widget for sites. 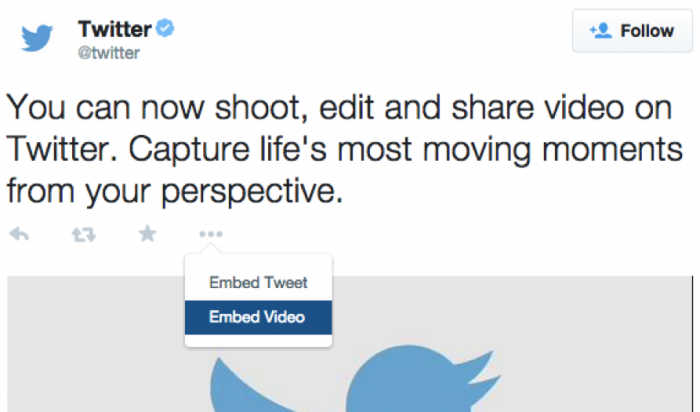 Now Twitter hosted videos can be embedded into sites as easily as a Tweet. Under the same options menu (•••) that you would use to embed a Tweet is the option to embed the video. An HTML snippet appears which you copy and paste into your site. 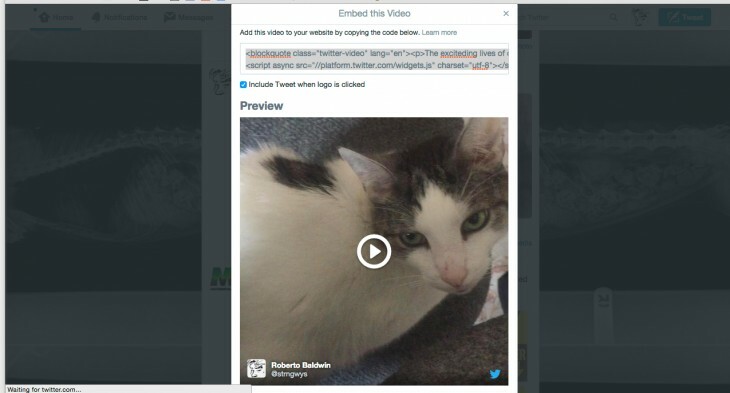 The embed also displays the tweet the video is part of when a user clicks or taps the Twitter logo. Video embeds are available for videos captured and uploaded through Twitter’s applications for iOS and Android as well as Twitter Amplify partners.